3 Reasons Why You Should Book a Party Bus for Your Redskins Game Day Experience - American Executive Sedan Service, Inc.
Washington Redskins training camp practices are underway, which means we’re only a few weeks from regular season Redskins football in the nation’s capital. The ‘Skins open their 2016 NFL campaign on September 12 against the Pittsburgh Steelers in what promises to be an exciting matchup of two playoff teams from last season. Meanwhile, now is a great time to start planning for your Redskins season festivities at FedExField. And with American Executive Sedan at your disposal, you should have no trouble booking a party bus in Washington, D.C. that ensures you and your friends can make the most of your Redskins game day experience. Need to arrive early at FedExField for tailgate festivities? Or want to stay late at to celebrate a Redskins victory? With American, you can enjoy on-time service whenever you need it. All of our party buses are driven by professionally trained chauffeurs who take pride in their work and will do whatever they can to ensure you’re able to reach your final destination on schedule. On the day of a Redskins game, our chauffeurs will pick you up on time and see to it that you’ll never miss a moment of game day action. Typically, one of our party bus chauffeurs will pick you up before the game and guarantee you can travel to FedExField with your friends in a top-of-the-line party bus. And after the game reaches its conclusion, the chauffeur will be happy to take you and your friends home at your convenience. The on-time support provided by our friendly chauffeurs has helped us become a leading chauffeured car service in D.C. As a result, you’ll be able to get wherever you’d like to go quickly and effortlessly if you choose one of our party buses for your Redskins game day experience. Although many ground transportation providers are available, there may be nothing better than traveling to a ‘Skins game in an exceptional party bus from American. Plenty of Seating – Our party buses provide plush, comfortable seating for up to 25 passengers. Reclining Seats – Want to take a nap on your trip home from a ‘Skins game? Thanks to our party buses’ deluxe reclining seats, you should have no trouble sitting back and relaxing. Ample Storage Space – Whether it’s storing tailgate supplies or post-game souvenirs, our party buses offer ample storage space for a wide range of big and small items. Easy Entry – You and your friends can enter and exit any of our party buses with ease. Let’s not forget that all of our party buses are driven by a professional operator in uniform, too. You can enjoy a safe, quiet ride in our party buses to any Redskins game, at any time. In 1999, American launched with a simple mission: to deliver outstanding customer service with attention to detail and meet or exceed our clients’ needs day after day. Since that time, we’ve grown substantially. And today, we serve as a premier provider of chauffeured ground transportation services on Redskins game days and beyond. With American, you can book chauffeured ground transportation with us 24 hours a day, seven days a week. You’ll be able to work with our travel specialists, choose the perfect party bus for your Redskins game day experience and guarantee you and your friends can reach FedExField in comfort and style. “I have used American Executive for many years. They are always on time for pick ups and the drivers are friendly and courteous. I’ve used both the sedans and the SUVs and they are always well kept and clean. I highly recommend them.” – Jennifer V.
“We have been using them for years. They have never let us down. Always reliable, very responsive and professional. Highly recommend!” – Kim N.
Perhaps best of all, American streamlines the process of getting from Point A to Point B, enabling you and your friends to simplify your trip to and from FedExField on a Redskins game day. In fact, our travel specialists are happy to answer any concerns or questions you may have as you book your trip with us. These specialists are courteous and diligent, and as a result, will work with you to ensure you’re able to enjoy an unparalleled Redskins game day experience. Take advantage of American’s party buses for an upcoming Redskins game day – you’ll be thrilled you did! 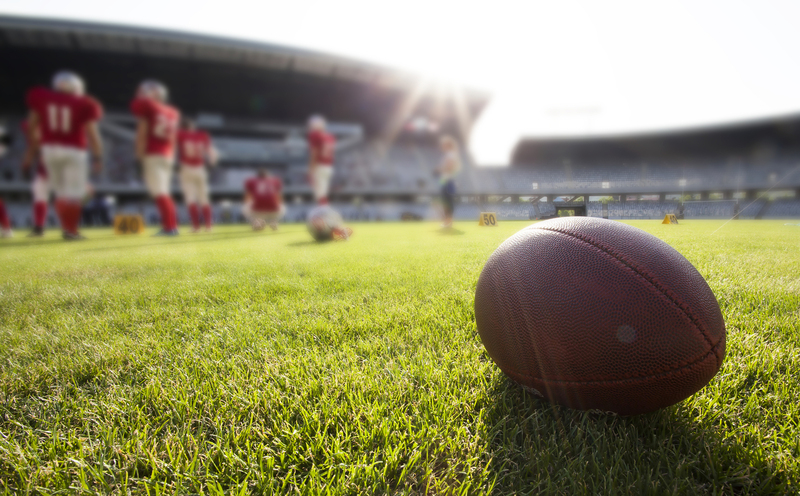 We’ll make it easy for you and your friends to arrive at FedExField without delay, and focus on what’s important – cheering the ‘Skins on to victory.